Shigetoshi Gohara (郷原 繁利, Gouhara Shigetoshi) is a sound effect designer and programmer for the Mario franchise starting with Super Mario Galaxy. 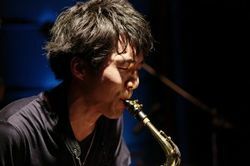 Gohara has also performed live with other Nintendo sound staff members as the group's saxist and produced a jazz arrangement of the main theme of Super Mario 64 for Throwback Galaxy in Super Mario Galaxy 2. This page was last edited on August 20, 2018, at 22:22.